Please call (403) 276-3173 to arrange pick up of items. Or you can drop off donations (please check our We Accept page first) during our business hours at the store. Please don’t leave items when the store is closed or without consulting staff first. 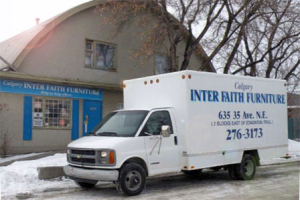 Copyright © 2016 Calgary Inter-Faith Furniture Society. All Rights Reserved.